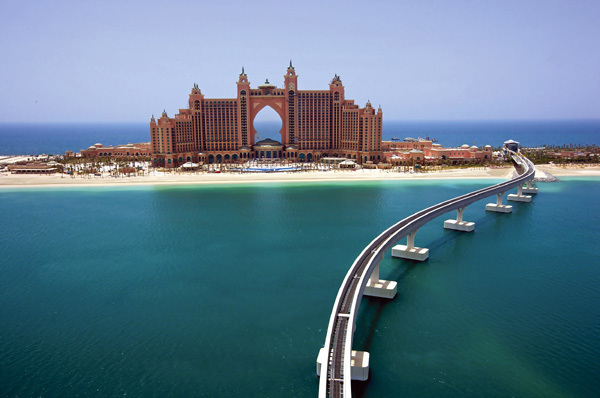 Atlantis The Palm in Dubai is nothing short of jaw-dropping. 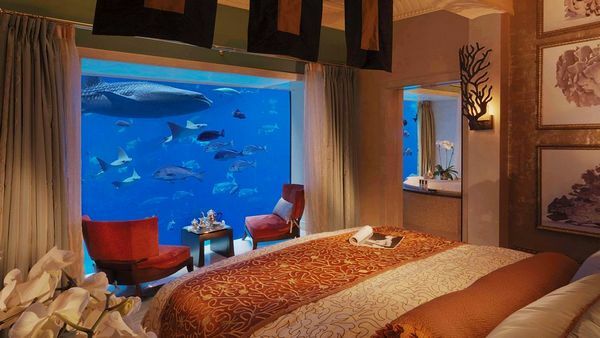 From underwater suites, a private lagoon where you can play with dolphins, private beaches and a location that seemingly rises out of the water, Atlantis The Palm is truly spectacular. First glance at the opulent building and luxurious rooms may suggest that this is not the place for families. Think again. 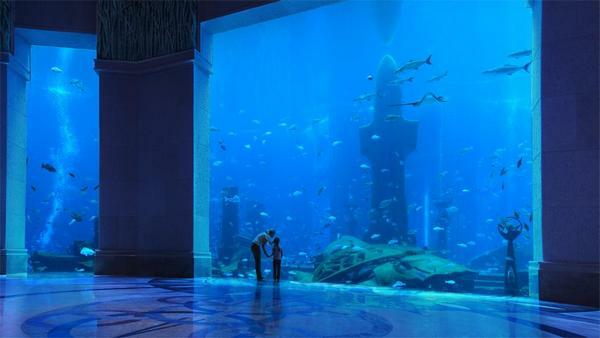 The Atlantis has a list of family and children’s activities which is nothing short of impressive. 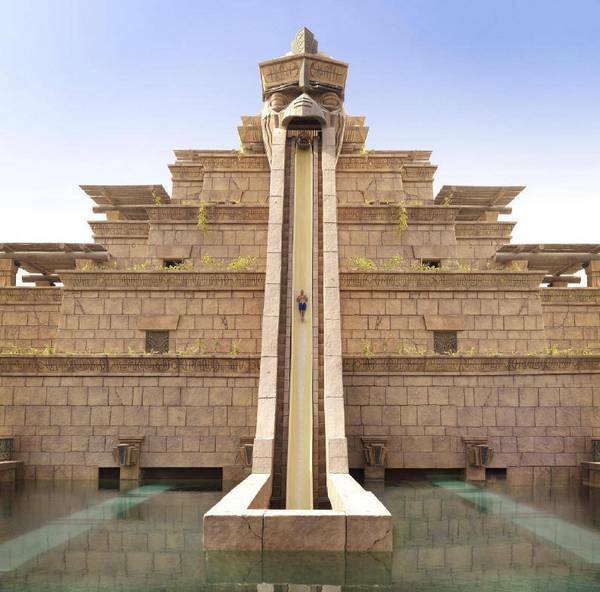 The centrepiece is Aquaventure, an enormous seventeen hectare water park that includes the Leap of Faith, a near-vertical, nine-storey waterslide that ends in an acrylic tunnel in a shark-filled lagoon; a wave river that winds for over two kilometres; a tidal wave pool; extreme waterslides; white-water rapids; and Splashers, a water playground for the youngest guests with slides, tipping buckets, water jets and more. Of course guests can also enjoy time by one of the resort’s two pools or access the two beaches. As well as the standard water sports and activities on offer, guests have the opportunity to swim and play with the dolphins at Dolphin Bay, a four-and-a-half hectare saltwater enclosure. For underwater action that doesn’t involve putting the bathers on, the Lost Chambers Aquarium is just the thing. A maze of underground passageways leads you past marine exhibits that focus on marine life found in the Arabian Gulf. Mention must be made of the location. 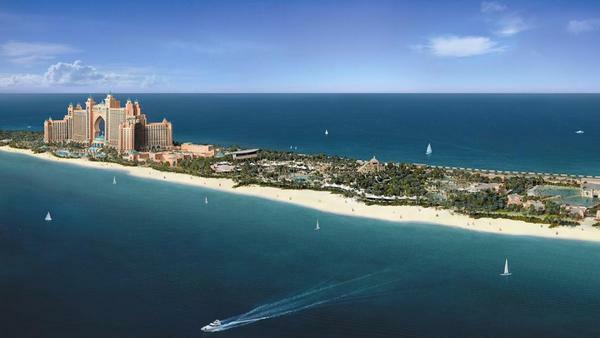 Atlantis The Palm is situated on Palm Jumeirah, a man-made island in the shape of a palm frond framed by a reef. Almost sixty-five kilometres of beachfront was created when the island was built. Underneath the resort building is the three-storey aquarium. The architecture of the resort is the stuff of undersea fantasies and, given the broader locale where water is a precious resource, the number of pools, fountains, water parks and lagoons is positively decadent. There are over one thousand five hundred rooms at the resort, ranging from standard (but nevertheless deluxe) rooms to Super Suites, including the underwater suites. The resort has seventeen restaurants, bars and lounges as well as a day spa and a kids club. Most rooms can accommodate two adults and two children, with suites suitable for larger families. Dubai enjoys year-round warm weather and is the pinnacle of shopping, entertainment and luxury in the Middle East. 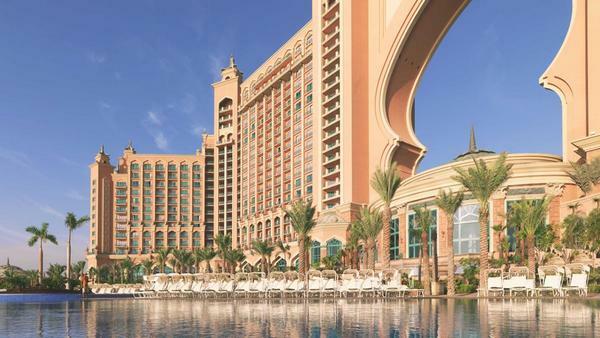 Bookings at the Atlantis The Palm can be made online. There are a number of special packages on offer, including deals for family suites that begin at approximately $795 per night. Flight bookings to Dubai can be made online through Expedia.